I have 20 years of experience building and repairing computers. I can help you purchase equipment and keep it serviced. I design custom servers as well. From backing your data to the safety of an offsite server to access of online office applications and resources, the cloud is a modern day necessity for both businesses and individuals. We can claim a catchy website name for you, design and host it, as well as maintain it & offer SEO (Search Engine Optimization). We offer eCommerce sites too. With 20+ years of experience building and repairing computers. We can help you purchase equipment and keep it serviced. We design custom servers as well. 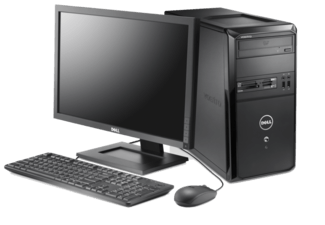 We are a Dell authorized reseller. Having a full time paid technical employee can be costly and unnecessary. With remote management, We are always there for you when problems arrive in an instant, sometimes fixing problems before you even knew they existed. I design custom computers, perform all manor of computer repair, and network computers for local businesses and residential customers as well. I am located just off the square in Glasgow, Ky. It's a one-man show here, so all jobs are handled with one-on-one communication and attention to detail is paramount. I provide services mainly, but also sell new, pre-owned, and custom built systems. I offer virus removal, maintenance, data recovery, password recovery, laptop repair, networking, backup solutions, consulting for both hardware and software, media converting from analog to digital (cassette, vinyl, VHS, & 8mm), hardware and software upgrades, re-installation and full re-programming of equipment. Please call, message, or email any questions you have and I'll be glad to help you. I primarily service small to medium-size businesses and government entities, but also do work for retail consumers (home users & students).